A JOYFUL PASSAGE 2016 Serenade series playfully pushes Chicago's Safe Passage program to lyrical and artistic heights unseen. 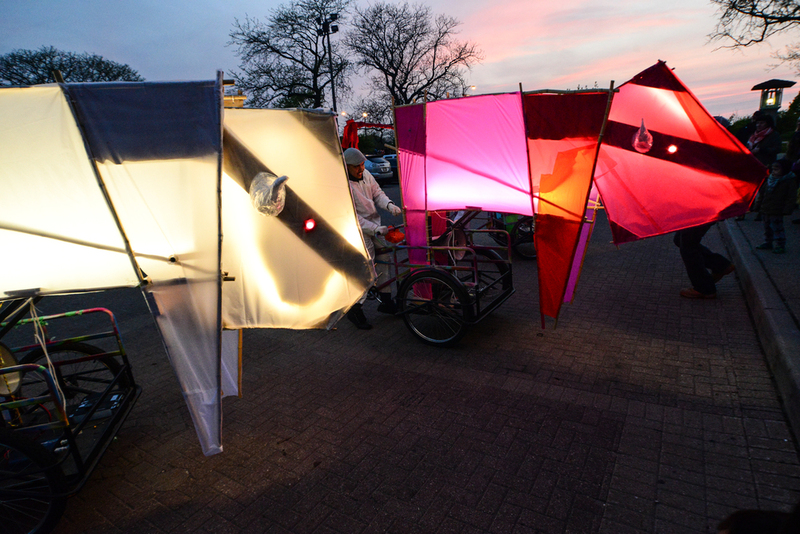 BY ACTIVATING OUTDOOR PUBLIC SPACES THROUGH CREATIVE PLACE-MAKING, Opera-matic CREATEs OPPORTUNITIES FOR JOYFUL SHARED EXPERIENCES and CIVIC ACTION, INVITING PEOPLE TO KNOW ONE ANOTHER IN NEW WAYS. 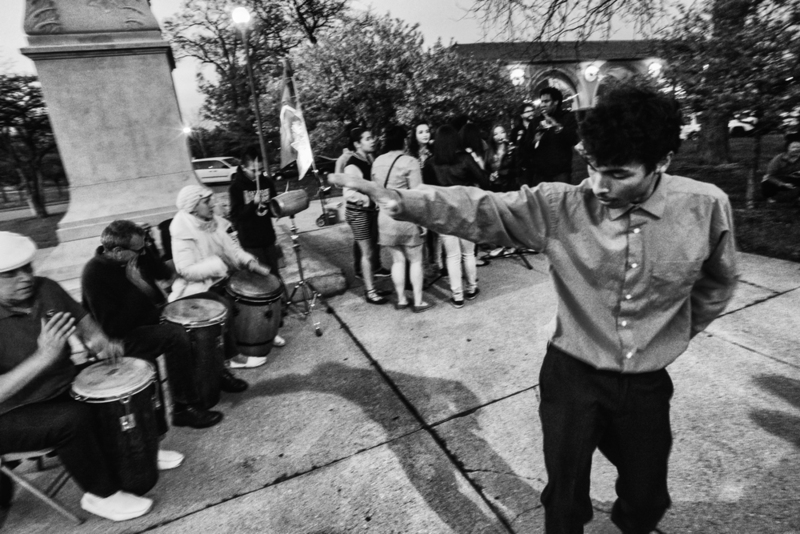 On May 7th we sang PRAISES to Humboldt Park. 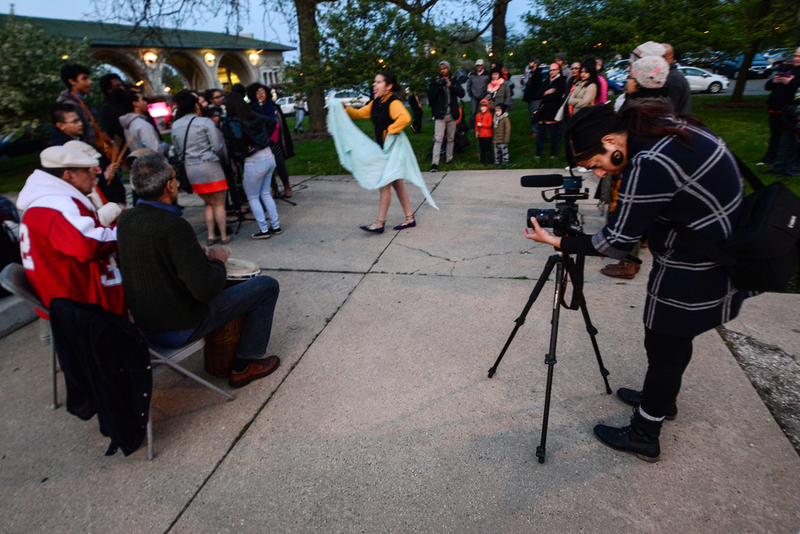 After the HUMBOLDT PARK NEIGHBORHOOD CHILDREN'S CHOIR kicked off the evening with a participatory performance, visitors STROLLED the park, CREATED ODES to favorite spots, and UNCOVERED hidden park histories. Artists illuminated ORDINARY OBJECTS and musicians sang former LANDMARKS back into public MEMORY. The magical evening concluded with a group serenade to neighborhood hero MAGGIE MARTINEZ, accompanied by the LOWEL ELEMENTARY SCHOOL BAND.